See also Yellowmead stone rows. 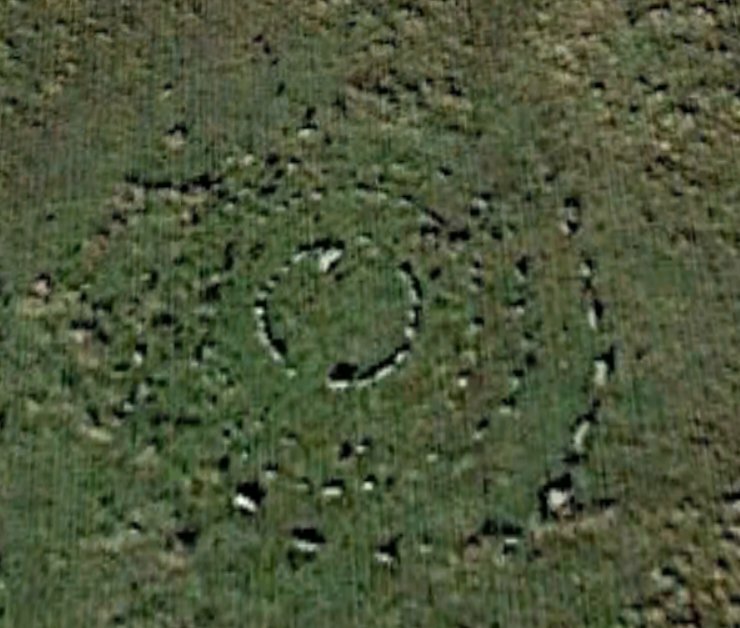 A fourfold circle, probably cairn retaining circles, rather than a true stone circle. L.V. Grinsell DASP 36 (1978) 166. E. Hemery. High Dartmoor (1983) 162. J.R. Turner. DASP 48 (1990) 82. J. Butler. Dartmoor Atlas of Antiquities IV 47.14 (1994) 88-9, 74-6. P. Newman The Field Archaeology of Dartmoor (2011) 49. Dave Parks Prehistoric Dartmoor Walks, & cairn circles. A map of the area can be found in Butler (1994) p89. A photograph of the circles can be seen in Butler (1994) p88, & one, taken from above, in Newman (2011) p49. An aerial photograph of the circle may be found at DASP 36 (1978) Pl IVb. Plans of the site can be seen in Butler (1994) p75, & Gerrard (1997) p62.